The most famous UFO story in the history is that of a crashing incident in Roswell. Interestingly, the evidence of this day has never been understood or explained. In fact, the story goes on that a space shuttle crashed and it contained aliens inside of the vessel. Whether this is factual or illusional, it is still hard to say. Same goes to the remarkable sighting in Graz, Austria. Will the authorities again cover up or not? 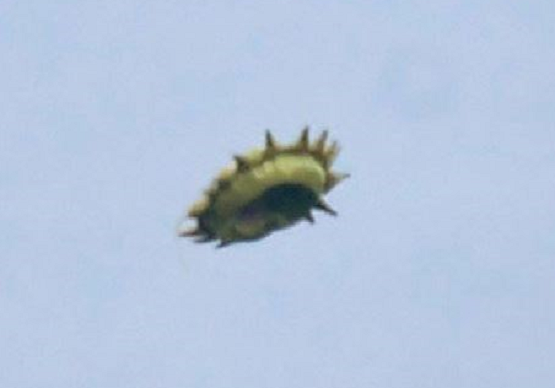 Recently, an alien sighting was spotted and has managed to surprise the alien enthusiasts when the strange air crafts were captured in a footage by two witnesses in the area. The movements of the strange objects and the way they collaborate with each other has triggered a small wave of speculation from the alien community, along with believers and sceptics weighing in on what the strange machines could be. Two witnesses recorded the strange lights from different locations in Graz. 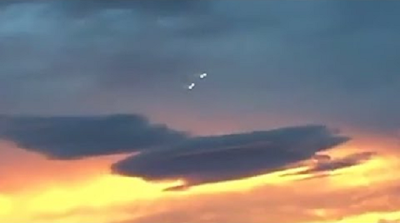 The footage which was shot on June 30, shown two mysterious objects with double lights seemingly performing manoeuvres. When you consider the character and movements of these strange objects, many alien enthusiasts have stated that it was unlikely for the equipment to be manned. While the bizarre air crafts and their corresponding behaviour were very much unusual, all the sceptics who viewed the footage believed that the lights were man-made. Others have said that they were acrobatic craft designed from the Blanix Team, which holds several performances above the Graz airport. Some have stated that while the odd crafts might not look like drones, they could be a form of ultralights since they are flying machines and are equipped with engines. Apart from this, when the crafts perform stunts that bear a resemblance of the behaviour of the bizarre objects in the current sighting, it is usually in front of the people at an event that is popular with residents in the area. Anyone who comes forward with actual evidence is put through a psychological screening process, and any infraction on their social life is used as an excuse for dismissing the reports. Since there were numerous witnesses to the objects, we can count out on the digital software being used just in case. However, would this photographer make any difference? Ken Rice, a Wildlife photographer, was taking photos on Saturday when a rare object suddenly appeared in his camera off in the distance. According to him, he has no idea what it is since he has never seen anything like this before. The incident took place on June 17 when he was in the marsh area nearby the General Motors of Canada Headquarter at 7:45 pm. He was about to go back in his car when he saw something unusual soaring in the sky. Not knowing what exactly it could be, he still has taken photos for the object bears a resemblance to a huge turkey vulture. He eliminated the idea of a balloon flying in the sky since the balloons, being filled up with helium gas; it floats, thus trying to rise as the helium’s weight is very light. As soon as the helium is filled up inside the balloons, the gas remains only for some time, and eventually, the helium gas moves out slowly. They could not fly too high. It could not be a flying kite either, since the string tips the face of the kite onward as the kite moves against the wind, which pushes up on this tipped face and raises the kite, just as a wedge pushed under an object lifts it up. He shared the photos on Facebook to obtain an idea of its identity, unfortunately, know one has been able to identify it accurately. He believes the object could be UFO since the latter did not know what it is. The Phoenix Lights captured the attention of the world's press on March 13, 1997, when witnesses say they have observed a massive V-shaped, coherently-moving dark Unidentified Flying Object, producing no sound and has five spherical bright lights or light-emitting engines. More sightings followed. There have been recent sightings of unexplained lights near Phoenix and triangular shaped craft, and one witness is the famous actor named Kurt Russell. 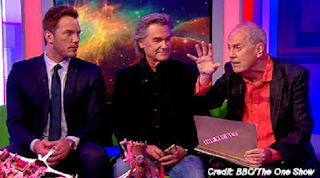 As soon as Brandreth finished, Russell claimed that he was the pilot and the boy was Oliver Hudson (The son of Goldie Hawn from her first marriage, who considers him as his father). Both of them saw six lights uniformly in a V-shape. Since he did not know what the lights were, he decided to call the tower. The Tower claimed that the radar did not detect anything. Therefore, he declared it “unidentified” since it was soaring high and appeared to be six uniformly shaped objects. The "Phoenix Lights" remains a problem for extraterrestrial researchers and enthusiasts alike even 20 years later since thousands of witnesses have reported seeing the phenomenon. When an aging rock star claims to have spotted a UFO, what is the first thing that comes to your mind? Jo Wood, the ex-wife of Ronnie Wood, confesses in a new interview with Peter Andre on the British daytime television show, that they both saw a strange object during their trip on the far eastern coast of Brazil. She admits seeing Ronnie enjoying his typical day wandering around. The guitarist freaked out when the spaceship appeared and hovered over the sea with strange lights shone around. The 62-year-old, who was divorced from the rolling stone rocker in 2009 admitted that there was a large thing above the sea and the bright lights came down. It suddenly appeared and stopped, then it was gone, just like that. Peter Andre did not interview Ronnie Wood, and Jo did not offer any other details. However, it comes without surprise that Wood is not the only Rolling Stone Star who has spotted aliens and extraterrestrial spaceships. Michael C. Luckman, the author, tells about an encounter of Mick Jagger described to him in his book called the Rock: The Rock ‘n’ Roll Extraterrestrial Connection. After sharing, Peter, 44 reveals that he too had a strange experience in America’s Nevada Desert. According to him, what he saw was unbelievable. The strange object was erratic, and the objects from one sky to the other sky have split in seconds, disappearing and reappearing. When they first started out, the Rolling Stones focused more on rhythm and blues as well as the rock and roll. However, they were more or less labeled as a rock and roll band after a hit in the mid-1960s. From then on, they went on to become one of the most prosperous rock and roll bands in the 20th century. Earlier this week, they announced a European tour in September and October. Daily UFO sightings from all around the world. Recent videos and alien news!